When a child learns to write, they go through multiple stages to get to the point where they have readable handwriting and are able to use proper mechanics of writing. Along with the stages, there are average ages and grades that the student should be at when they develop those specific writing skills. Some students develop through these stages much faster than others, and some develop through the stages at a slower pace. What is important is that there is growth through the child’s literacy. Below is a list of stages that we go through as we grow in our writing. Later stages, students can draw letter like formations that are not intentional. Writes long strings of letters and then moves on to grouping them. Can spell consonant blends and digraphs. Greater diversity of vocabulary, sentence structure, idiomatic language, and rhetorical devices. The students are consolidating general reading, writing, and learning. This links to a timeline of my own literacy development. Click the play button below to hear me read this. It is important for teachers to teach students in a way for them to grow and to keep them on track throughout their years of schooling. As a future teacher, my goal is to keep my students on track with their literacy skill through any means necessary. If they fall behind, then an evidence-based intervention should be done to get them back on track. 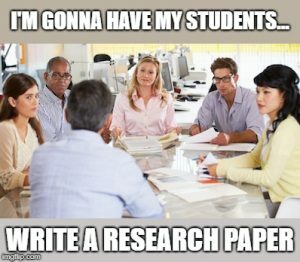 These interventions should be enjoyable for both the students and the teacher. Reading aloud to your child or students helps tremendously with their literacy skills and moving through the stages. Below is a great book that can be used in your classroom that can teach great lessons. 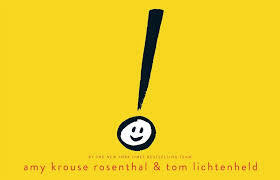 Click the play button below to hear me read Amy Rosenthal and Tom Lichtenheld’s Exclamation Mark! Children do not only develop through their stages of literacy in reading skills but also their writing skills. 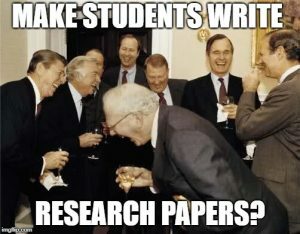 Many teachers have their students write papers to work on writing skills, but part of my teaching philosophy is that I believe that students do not learn the most from writing traditional research papers. Every student learns information in a different way, and if you provide them with a project that allows them to produce a product with their own creativity and imagination, then they will learn the most from it and enjoy learning about the topic. Overall, learning to read and write in order to grow through the stages is very important for students to learn because they will be using these skills for the rest of their lives. It is our jobs as teachers to find the best way to keep our students developing through these stages of literacy in an enjoyable way for both you and them.